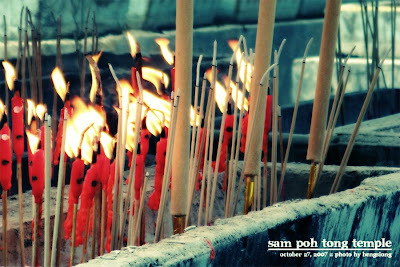 Sam Poh Tong is one of the popular temple in Ipoh, located at the Gunung Rapat area. 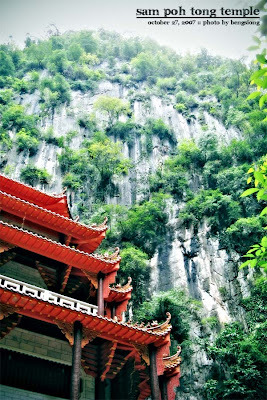 it's unique in that it is built directly into the limestone hillside, utilising the existing natural caves. 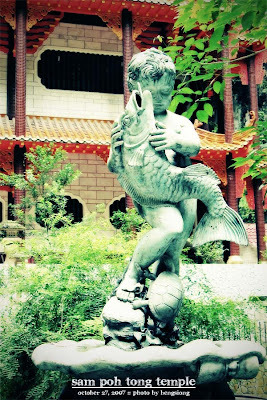 in front of the temple lies a beautifully landscaped garden, with a fish pond. 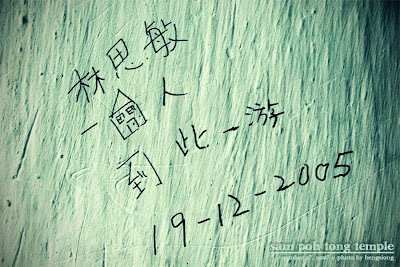 a grafitti on the wall, near the staircase leading to the upper floor of the temple. 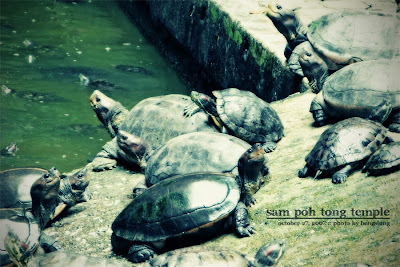 a walk through the temple will lead to the inner courtyard, where the tortoise pond is located. 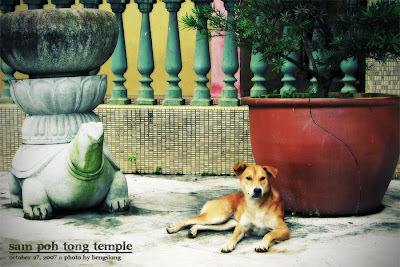 there is also another temple building here, although it was not open when i was there. 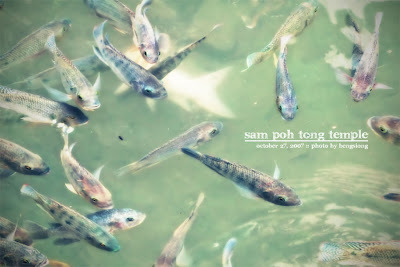 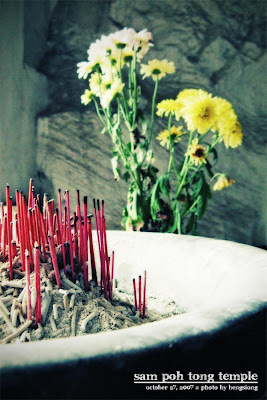 Sam Poh Tong, discovered in 1912, is a Chinese Buddhist Temple within a natural limestone hill. 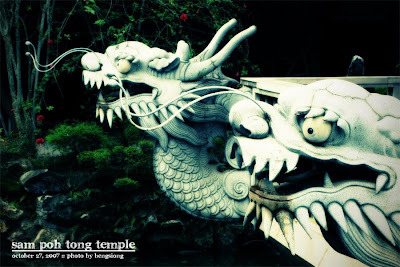 Developed by the Buddhist commnunity and now has become an international tourist spot attracting visitors from all over the world. 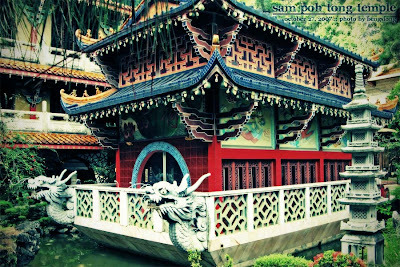 Among the main attractions there are a beautifully decorated pavilion in front of the temple and a landscaped garden with a fish pool, which was awarded "The Best Landscaped Garden" in Malaysia 1993. 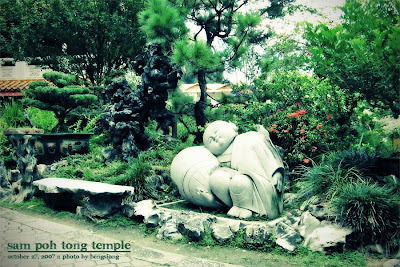 Other than that, statues of Buddha and other deities are placed inside for respective devotees to offer prayers. 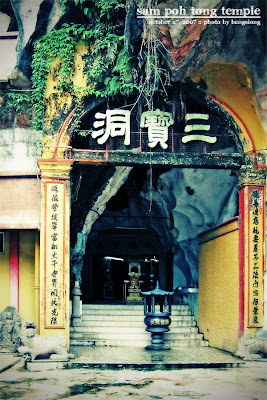 A small pathway inside the cave leads to a tortoise pond where feeding is allowed if you purchase some Kangkong vegetables at the entrance.